Always keeping your dear ones near. The story of Daruma thread. "When you find something you like, take good care of it and use it for a long time"―this is the creed of the fashion conscious. If a thread comes loose, mend it. Sew fabric together and uncover a new form of beauty. As you put more and more work into something, you will feel your attachment to it becoming stronger, and your sensibility becoming more and more refined. It was in 1901 that Yokota Chozaemon, having trained in sales of the Kyoto art of Kanoko Shibori dyed fabric, began to make and sell thread. This was the time in which various fabrics such as muslin and meisen silk became available, in addition to the standard cotton and silk. Yokota and his wife believed that no matter how the times were to change, thread for hand stitching would always be an integral part of daily life. Based on this sentiment, they refined and perfected their product until they came up with a superb quality silk-cotton thread. It featured a glossy sheen like silk and a smooth texture, and most importantly was durable and strong. The Yokotas marked their excellent quality product with the symbol of a round Japanese doll known as a Daruma. They chose the Daruma to represent their brand due to its ability to "fall down seven times but get up eight." This idiom implies that success will be achieved with persistence. The logo was well received by the public, and word quickly spread that "Daruma thread can be trusted." 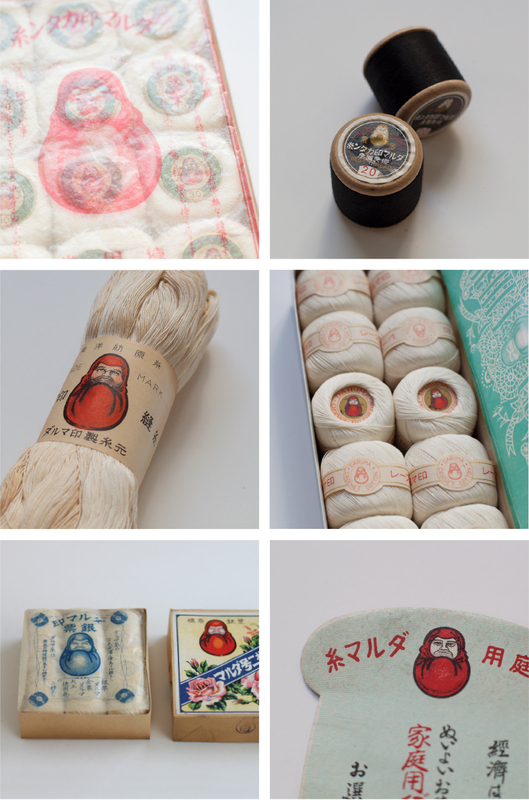 Eventually, Daruma sewing thread could be found in the sewing box of any home. More than a century has passed since then, yet even today, people who truly enjoy fashion always keep the Daruma logo by their side. The reliability that this symbol represents has been passed down from generation to generation. We hope that the Daruma thread will continue to weave its way into the hearts of future generations, for many years to come. With this desire in the forefront of our minds, we continue working day by day to create the thread that our customers know and love.